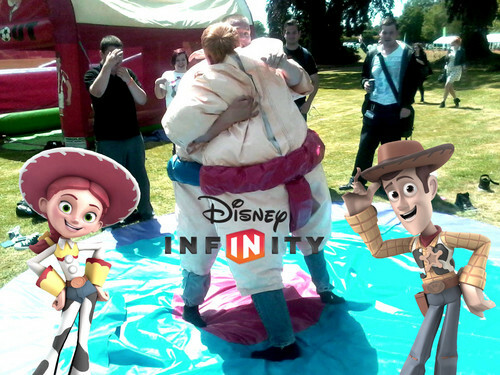 Jessie & Woody enjoy playing Sumo. . HD Wallpaper and background images in the Toy Story club tagged: photo disney pixar woody jessie.